Shop the sales. Even if it means scouring the flyers and visiting a few different stores, make sure you get the best price on every item on your list. Do your comparison shopping before you head out and don’t be afraid to ask for a price match at the grocery store. Taking the time to look for the best deals ahead or time can save you money in the long run. Forget about ready made canapés! Make your own! A beautiful Christmas dinner arrangement is bound to include those appealing and wonderfully decorated appetizers. Although readymade canapés look amazing and save a lot of time, they can also have a truly unpleasant impact on your budget. So challenge your children and other helping hands into assembling your own canapés. It may be time-consuming but it will definitely be a lot of fun. Look up simple recipes online that are quick to make and only require a few ingredients. Find cheaper and original alternatives to old favorites. It is not difficult to be imaginative when it comes to Christmas dinner. You just need to keep your options open and be ready to try something new this year. Try frozen veggies instead of fresh, and consider making side dishes or appetizers that are less expensive and require fewer ingredients than you would normally make. Be wise when choosing your turkey. The best advice when it comes to choosing your turkey for Christmas dinner is to get the best that you can afford. Although it may sound counter intuitive, a bigger bird will save money as you can stretch it to several other meals by using the leftovers in different ways. On the other hand, if you often find yourself throwing away leftovers in the previous years, a smaller turkey is definitely a better deal for you. Host a Potluck Dinner. Ask your friends and family to help you create a memorable holiday dinner by bringing their favourite Christmas dish. Not only does this help take some of the cooking pressure off of you, it also means you will have a great variety of delicious dishes on your table. Try to incorporate some of these money saving ideas into your holiday dinner preparations and see how much you can save. 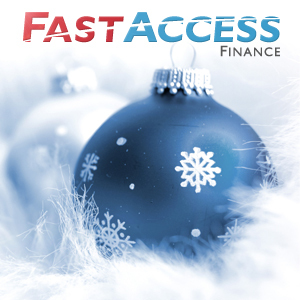 If you are in need of some extra money to get you on track with your finances this season, contact Fast Access Finance to apply for a personal loan.